Known for its outstanding conditioning program, the University of California, Santa Barbara men’s soccer team is adding strength to its regimen. Alison Parakh, MS, CSCS, USAW-Level 1, is an Assistant Strength and Conditioning Coach and Leo Chappel is an Assistant Coach of Men’s Soccer at the University of California, Santa Barbara. Chappel was named the Regional Assistant Coach of the Year by the National Soccer Coaches Association of America last season. Here at the University of California, Santa Barbara, our men’s soccer team has spent the last several years focusing on fitness, which was a key to our run to the 2004 NCAA College Cup. We went 6-0-2 in overtime games, and lost the title to Indiana on penalty kicks only after 110 minutes of soccer failed to produce a winner. However, we have not focused a lot on our strength training in past years. This year that is changing with the addition of two strength and conditioning coaches to the UCSB athletics program. Now, our challenge is to increase our players’ strength and power on the field while maintaining the same high level of fitness. We will describe our strategies in this article. Because we play a very aggressive, physical, and high-pressure style of soccer here at UCSB, it’s vital that our players develop an incredible aerobic base and anaerobic capacity to go along with a fierce competitive spirit. Our goals are to develop players who outwork our opponents and have the ability to play around them and through them when necessary. This often shows around the 70th minute of games, when play begins to flatten out and the more conditioned team can gain an advantage. Meeting these goals requires a major commitment from our players. During our conditioning work, we emphasize intensity. Players are instructed to attack each drill with everything they have. We view fitness as a weapon to use against our opponents. All of our aerobic and anaerobic work is done as a team, and when doing group drills, our fittest players are split between the front and rear of the pack. This keeps all members of the team performing at a high rate and makes it difficult for players to cheat or hide. To succeed at UCSB, players must improve with the team and always meet team standards. Those who don’t join the “breakfast club” and report for extra work at 5:45 a.m. until they have improved enough to catch up to the rest of the team. To make sure that players are getting the full benefit of our programs, all aerobic and anaerobic work is performed against the clock or other players. If even one player fails to finish in the allotted time, or does not give his all through an entire drill, the whole team does extra work. This helps keep our fitness work honest, accountable, and fiercely competitive. We start our preseason camp with a work-to-rest ratio of 1:1 (for example, 30 seconds of work followed by 30 seconds of rest) and work down to 2:1 (one minute of work followed by 30 seconds of rest). We begin off-season fitness training in January at 1:1, which requires players to show their commitment to the team by remaining fit during the holidays. We strongly believe that the successes of the fall are built in the winter months, even through players are not allowed to touch a ball under our direction until mid-February. During our fitness sessions, players are always on the move. To help increase their aerobic base, we run one to two miles to and from training most days during the offseason, and once or twice a week during the season, depending on the game schedule. Once we reach the postseason, we resume daily runs of one to one-and-a-half miles. 120-yard ladder sprints: Players are split into two groups and alternate sprinting and jogging over the following distances: 20-yard sprint/100-yard jog, 40/80, 60/60, 80/40, 100/20, 120/0. The second set is a mirror image of the first with players sprinting/jogging the following distances: 120/0, 100/20, 80/40, 60/60, 40/80, 20/100. Players can pass each other only during sprint segments. Team fartlek runs: Players are put into pairs, and each pair is spaced 10 years apart from other pairs. At the start of the drill, athletes are positioned around the perimeter of the field, and they start jogging. For the first 10 minutes, each pair sequentially sprints outside their teammates from the back of the pack to the front. For the next 10 minutes, each pair sequentially sprints up the middle of the field. For the next 10 minutes each pair sequentially weaves from the back of the pack to the front. For the final 10 minutes, each pair sequentially turns around and sprints from the front of the pack to the back. Players must maintain 10-yard spacing at all times or two minutes of work is added for each violation. Agility relays: We set up a course that typically takes 30 to 35 seconds to complete and is made up of a varying mix of quick-feet patterns, agility patterns, lateral sliding, low jumps, high jumps, straight-ahead sprinting, backpedaling, and other drills. The team is broken into the same two groups throughout the season and each day features a best-of-three series. In the first race, each player goes through the course three times, and the lowest combined time wins. Each player goes through the course twice in the second race and once in the third race, if needed. An individual time trial is also held. Penalties are assessed for displaced equipment, such as cones and hurdles. 40-yard shuttle ladders: Players run 40-yard sprints followed by a five-yard forward and back pattern, which may include low or high jumps and diagonal runs, for a designated period of time, followed by equal-length rest periods. Timed periods for the first set are 10, 20, 30, 40, 50, and 60 seconds. Second set times are 60, 50, 40, 30, 20, and 10 seconds. To get the most out of the limited time we have with the players, we often work on their agility at the same time we are improving their fitness. Our drills are designed to match the patterns that players will commonly follow on the field, using a combination of short, quick, straight, and diagonal strides as well as lateral sliding and backpedaling. To simulate getting back on defense, many drills end with a 20- to 30-yard sprint straight or diagonally back, which reinforces their responsibility to hustle and get behind the ball as quickly as possible. We also try to blend technical agility components into our drills. Often times, the player attacks a pattern, then serves a ball or takes a shot on goal. Patterns are as position-specific as possible. We look at the responsibilities of each position and then design patterns based on those responsibilities. A midfielder’s pattern will have a lot of short straight-ahead running (10 to 12 yards) with some backpedaling and side-to-side movements because on the field he’s always moving up, moving back, and moving laterally. A left back may come up and then run back when a ball is played over his head, so we’ll have him run a lot of 20- or 25-yard sprints. Patterns are changed on an almost daily basis to keep monotony and adaptation from creeping in. We regularly break the team into two groups (such as defenders/goalkeepers and forwards/midfielders) and have them do agility relays as well as individual time trials through an agility-intensive obstacle course. A running score is kept throughout the year, which leads to spirited competition between the two sides and helps fulfill the main goal of exerting maximum effort at all times. The honesty and accountability our players have shown in our fitness program has been a key to the gains we have produced on the field. Along with continuing our intense conditioning regimen, this year we are also looking to make our soccer players physically stronger. In the summer of 2004, UCSB created two full-time strength and conditioning coaching positions. Since there was little time to implement a new strength and conditioning program before the start of the 2004 season, and the existing program was very effective in developing the players’ fitness and stamina, we elected to wait until after the season to make any changes. When the season ended, the soccer coaching staff and strength and conditioning staff discussed how to implement increased strength training into the program. We decided to focus on three main goals: develop total body strength, enhance the rate of force development, and prevent injury. To meet these goals we are emphasizing free-standing, high-muscle mass, explosive movements, such as those found in ground-based Olympic lifts, mainly cleans and snatches. Since our goal is to make our athletes stronger and more powerful, the program features heavier weights and lower reps. But the idea is not to build strength for strength’s sake. We want to develop better soccer players who will be able to use that increased strength to generate more force against the ground, which should translate to greater speed and quicker and more powerful changes in direction. Greater strength will also help the athletes withstand the high demands placed on their muscles and joints. The major muscle groups that we feel are most important for soccer players are the lower body, abdominals, and lower back. Thus, our strength-training program focuses on the lower body and core muscles, while not ignoring upper body work. Both unilateral and bilateral exercises for the legs are included in each workout. Variations of lunges and step-ups are our preferred unilateral exercises while squat variations, such as front and overhead squats comprise most of our bilateral work. Abdominal exercises are done as a team to ensure compliance and proper technique. We also incorporate band exercises such as monster walks into the warm-up to help strengthen the hip muscles. Another important goal of the strength-training program is increased dynamic flexibility, especially in the hamstring and adductor muscles. To develop this, we use Romanian dead lifts (RDLs) and good mornings, which involve hip flexion and stretch the hamstrings during the eccentric part of the lifts. We also incorporate 45-degree and lateral lunges into the program to reflect the players’ multi-directional movement and develop strength and flexibility in all directions, not just forwards and backwards. After consulting with the athletic training staff, we also decided it was important to strengthen the area around the knee, which had been the most common area of injury. We chose exercises that strengthen the quadriceps, hamstrings, and adductors, such as squats, lunges, step-ups, RDLs, and good mornings. Offseason conditioning workouts are held five days a week with lifting sessions added on Mondays, Wednesdays, and Fridays. The entire program is designed to be completed in eight hours a week, which is the maximum time allotted by the NCAA for offseason training. The conditioning workouts are more intense on the days when the team does not lift, while Friday lifting sessions have the lowest intensity since the team has been training hard for the previous four days. During the summer, our main goal will be to increase power and work capacity. Once the season starts, we will aim to maintain, and increase where possible, strength and power levels. By augmenting our traditionally high level of fitness and stamina with increased strength and power we hope to produce a winning combination. * Abdominal workouts vary but typically include crunch variations, Russian twists, and isometric abdominal exercises, such as yoga plank exercises. This concentration on ‘fitness’ is one of the reasons the USA college game gets a well deserved bad rap as far as not being a good environment for producing top class soccer PLAYERS. Soccer is a game of artistry, creativity, skill, decision making, game sense and field awareness. Soccer is NOT a game of bigger, faster, stronger…(see Messi, Lionel). The USA has failed to produce a single world class player yet (If Landon Donovan is your ‘best ever’ player then you’ve got a real problem)….where as a small country like the Netherlands has, over the years, produced dozens of truly world class players. The women’s high school team I coach has NOT run one single lap, not done a SINGLE day of fitness, rarely do ‘drills’ and hardly ever lose…..we have not lost a conference game in four years, are on a run of 13 straight conference shut-outs and have won the last three State Championships. Last season we were unbeaten in all games, conference and others, conceded TWO total goals in our 18 games and finished highly ranked both nationally and state wise by Top Drawer Soccer….this despite being a very small school with just 200 girls in grades 9-12. We do EVERYTHING with a ball, play short-sided games, uneven numbers games, possession games, half field games, ‘playing thru the lines games’ and the rest. We NEVER go longer than 90 minutes in practice and the girl’s really look forward to training at the end of the academic day. I have no comment, just questions. Do you have really athletic girls? Do any of them play travel ball? Do you find any difference if your girls play multiple sports? What work outs do you use if any to protect their ACL”s? I spend a lot of time doing that part For The ACL’s. 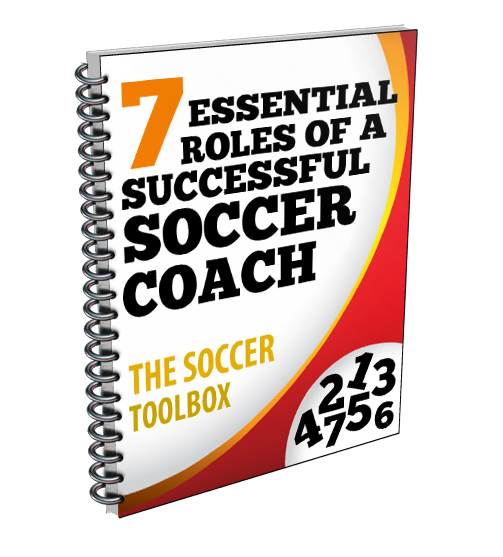 As a soccer coach I find many of the young boys and girls I have playing for me have very little experience playing the game, and very few skills. We normally finished third in conference year in and year out. Are you saying you never do strength training with your teams? Are you saying you don’t think Messi does strength training without a ball at his feet throughout the year? Just wondering. Mike, Although I would agree with you mostly. You will NEVER find a team at any level that will NOT train a conditioning aspect at some point in the early season. How many times do you hear, “He’s not fit” and a first team player is off for extra training with the u20s. Congrats on your accomplishment with you high school team! However, I would also like to know how good are the club teams that are feeding your program and what those club training schedules look like and if (and they probably do) include some sort of speed/agility/conditioning/weight session during the week.